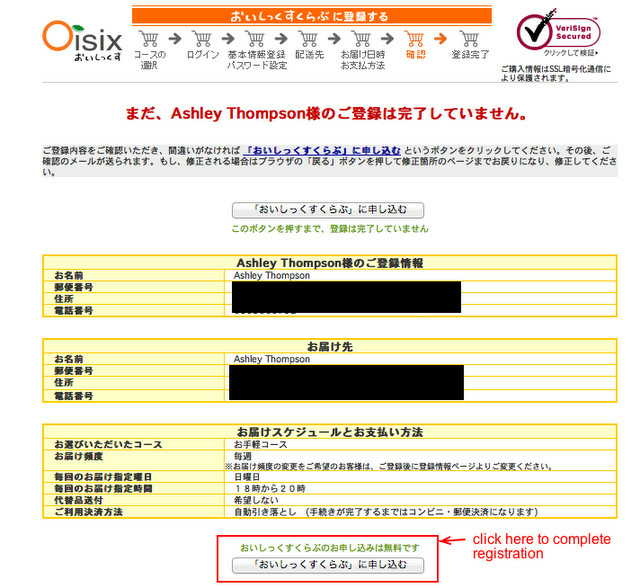 For those of you who read Where to Get Veggie Box, Food Delivery Service in Japan and want to sign up for one, the following is a basic tutorial of how to sign up for Oisix. Note that, if you run into any issues, you'll have to communicate these in Japanese (or have a friend help you). Also note that, for Oisix anyway, if you want to change your box, you must do so by a certain day (typically a few days before) and if you want to cancel, also beforehand (around 2 days, depending). 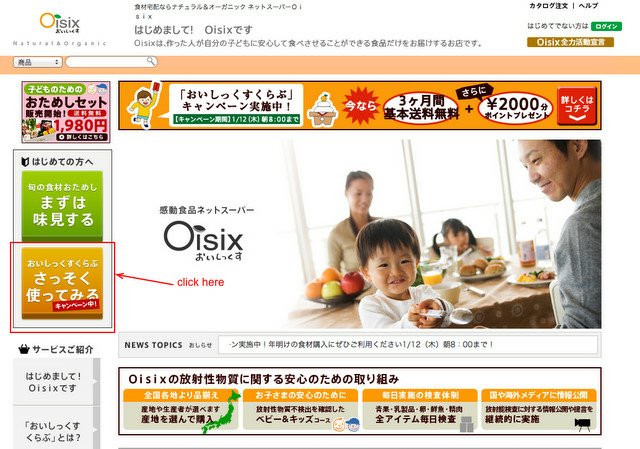 Step 1: Go to Oisix.com and click the large yellow button on the left that says さっそく使ってみる, as indicated below. Step 2: You'll arrive at the page below. Proceed to Step 3. Step 3: Scroll down on the above page until you get to a long, red button, as indicated in the image below. There are several of them on the page. Step 4: First, choose the "course" you want. The first (yellow) is the "mini course" (ミニコース) for 1-2 people. The second (red) is the "light course" (お手軽, おてがる) for 2-3 people. 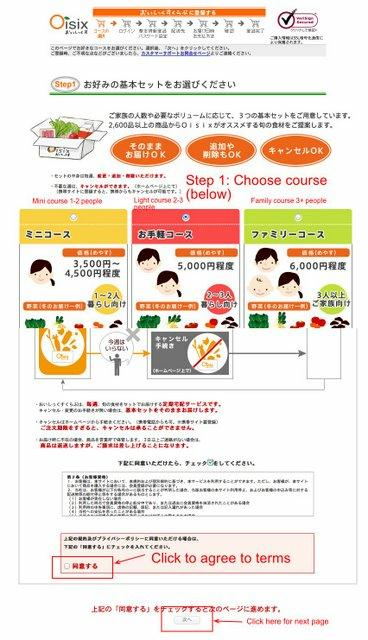 The final option (green) is the "family course" (ファミリーコース) for 3+ people. 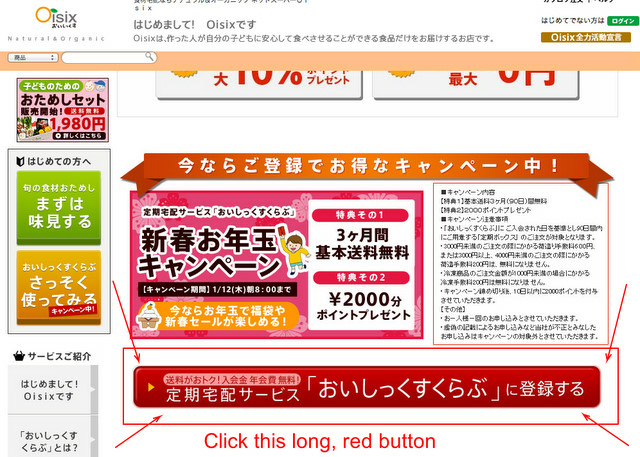 After choosing your desired "course," scroll down and check the box to agree to terms, and then click 次へ (next). 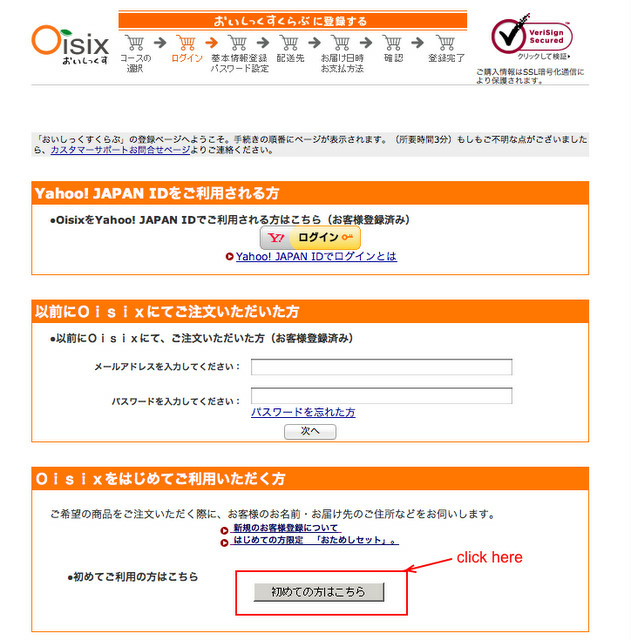 Step 5: If you have a Yahoo Japan ID, feel free to login using that, but if you don't, click on the gray box that says 初めての方はこちら. In the second box with the red left column, choose how often you want to receive the box: every week (毎週配達) or every other week (隔週配達). In the third box with the red left column they ask if you would like them to substitute an item you've ordered that is out of stock. If you do want them to do this, leave the box checked. If you don't, un-check it. Regarding auto-withdrawal, it says you can only pay at a convenience store for the first 3 weeks, but we've been getting a box for a while and paying at the convenience store once a month and haven't been sent any bank auto-withdrawal paperwork yet. So we just keep paying at the convenience store. 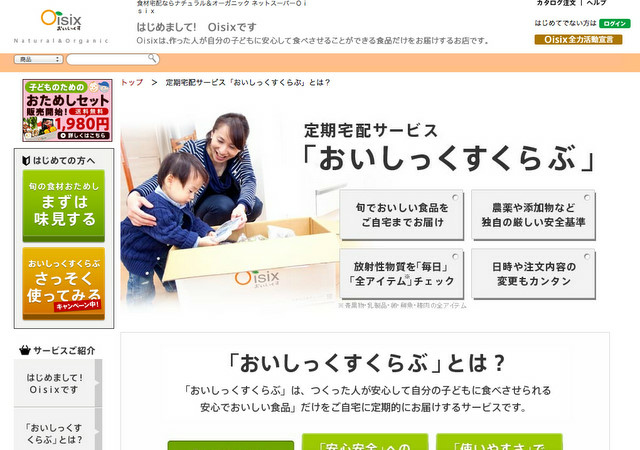 After completing the above, click 次へ. Step 8: The next page is the confirmation page. 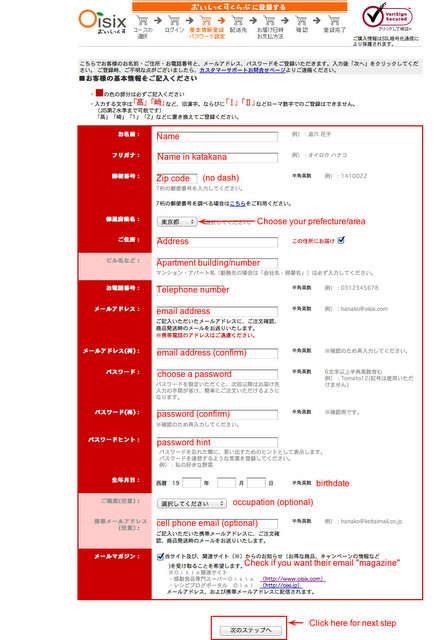 Read over everything to make sure it's correct, and then click おいしっくすくらぶ　に申し込む to complete your registration. That's it! Enjoy those veggies.